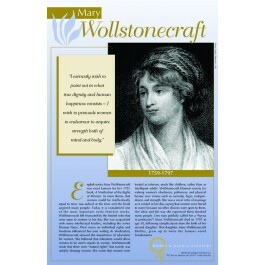 This poster of English writer Mary Wollstonecraft features a photo, a quote, and a brief biography that illuminates the life and work of this 18th-century advocate for women's rights. The quote on the poster reads: "I earnestly wish to point out in what true dignity and human happiness consists -- I wish to persuade women to endeavor to acquire strength both of mind and body." 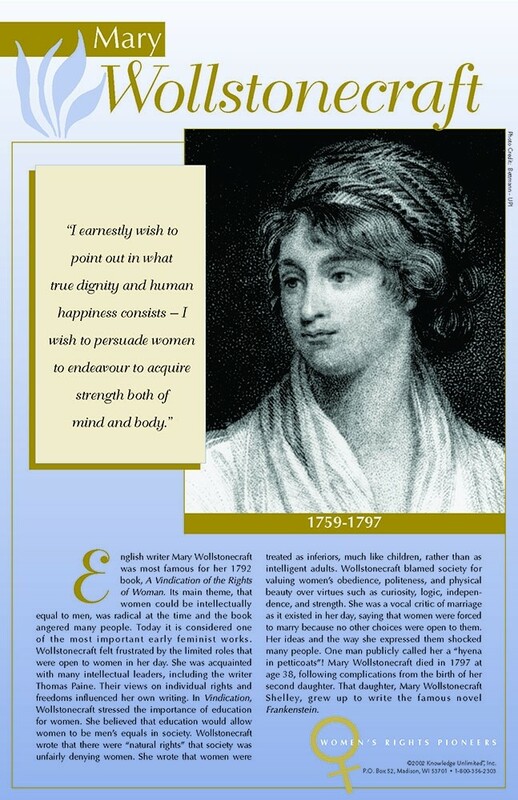 Mary Wollstonecraft was most famous for her 1792 book, "A Vindication of the rights of Woman," considered one of the most important early feminist works.